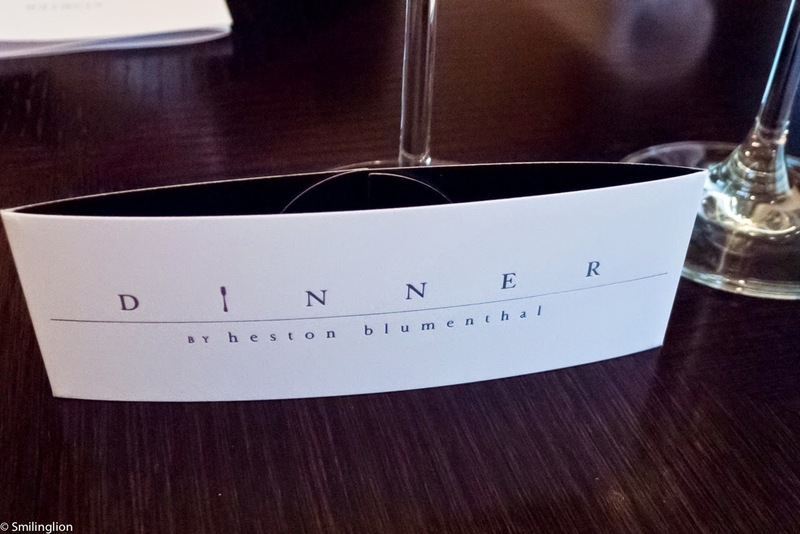 Heston Blumental's Dinner had always intrigued us. 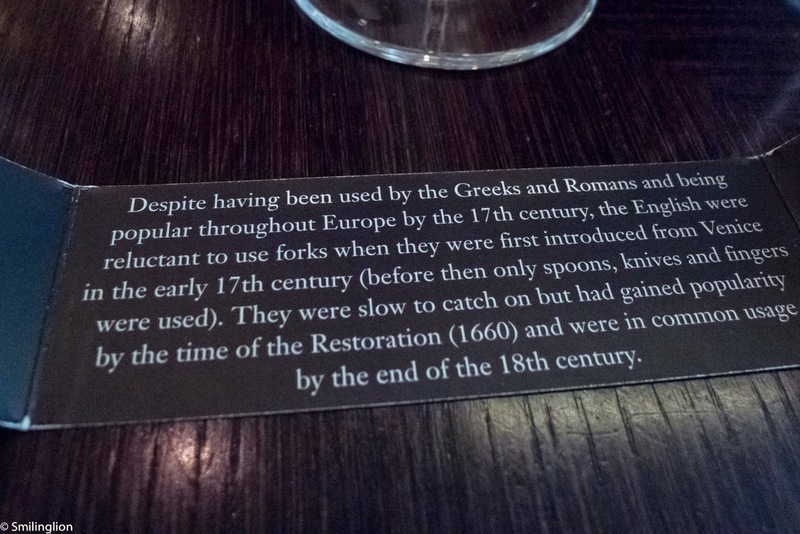 It was set up with the concept of reviving long lost English recipes from hundreds of years ago and turning it into something which could be identified as haute cuisine. Having watched many episodes of The Tudors and being somewhat familiar with watching Henry VII's grand banquets (one would presume that the King of England would be served food which could conceivably be regarded as the finest of its time), we never got the impression that medieval English cuisine would be something we'd be dying to try soon (this brings the mind the bizarre whole swan dish which, when opened, would release dozens of escaping doves. This seemed to be something which delighted the good King). 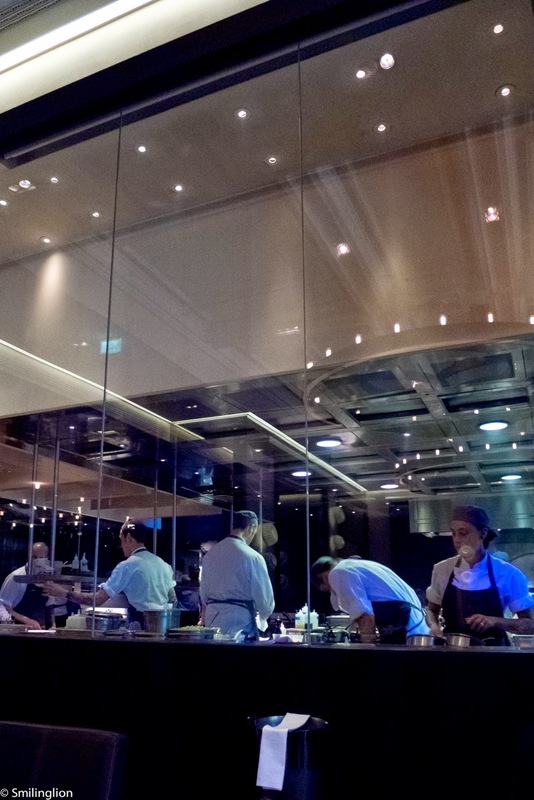 Dinner now has two Michelin stars and is also phenomenally highly rated in San Pellegrino's The World's 50 Best Restaurant (it is currently ranked 5th), which was compelling evidence that Chef Heston's project seems to have gained wider acceptance in the otherwise skeptical culinary circles. Dinner took over the space formally occupied by the now defunct Foliage (a one Michelin starred restaurant at that time which we quite liked) in the ultra-luxurious Mandarin Oriental Hotel, and replaced the walls of the kitchen with full glass panels, exposing the entire kitchen and the rather interesting pineapple roasting room (more on this later) to the dining room. The restaurant was quite casual, with naked table tops more appropriate in a bistro than a fine dining establishment. 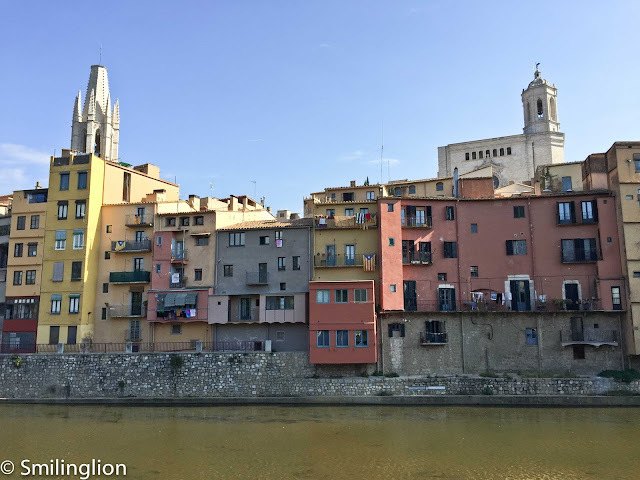 The service was also informal yet friendly and pleasant. The restaurant tried to create a context of the meal we were about to have by having literature printed on the menu and even on the other side of the cardboard napkin fastener, explaining the type of cuisine (i.e. Ol' English), the year when each particular dish was popular, the cookbooks where the recipes were found as well as some of the eating habits of their early ancestors. 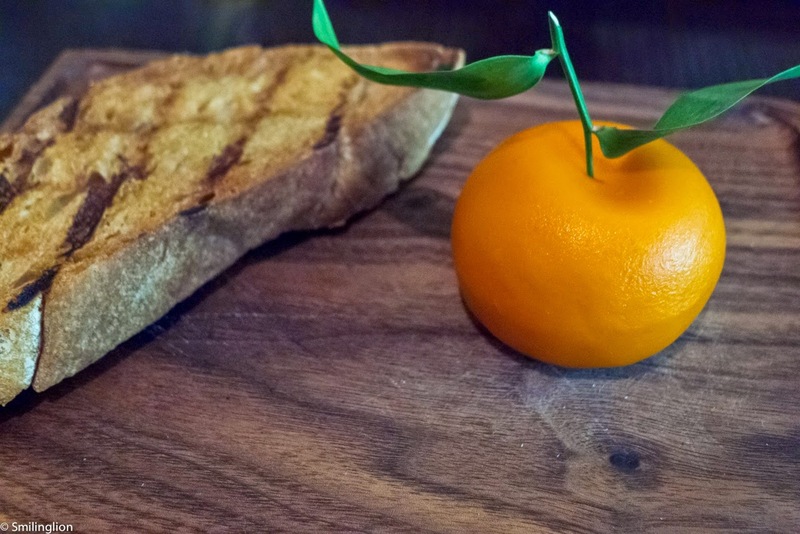 Meat Fruit (c. 1500): mandarin, chicken liver and foie gras parfait, grilled bread: We would be highly impressed if indeed the English made dishes like that half a millennium ago. This was amazing. 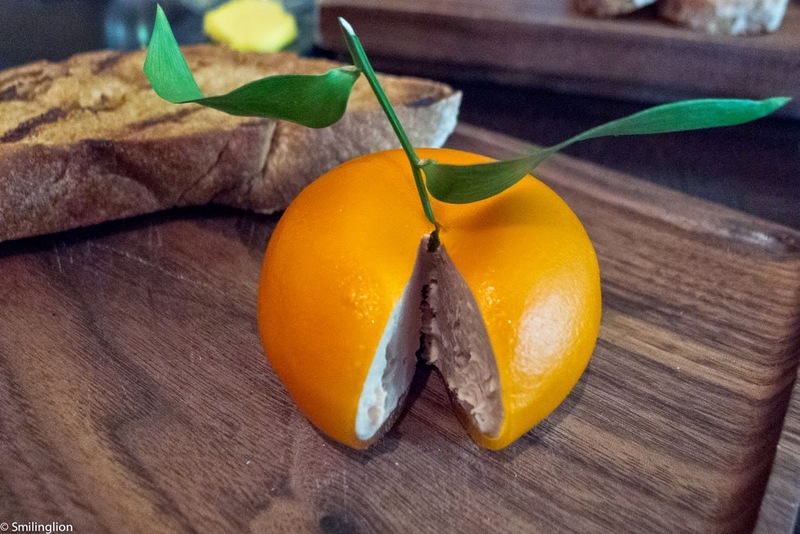 A perfectly formed mandarin orange with the fruit gelee encasing a globe of pâté which was perfectly balanced and, despite its size, not difficult at all to finish together with a slice a grilled rye bread. 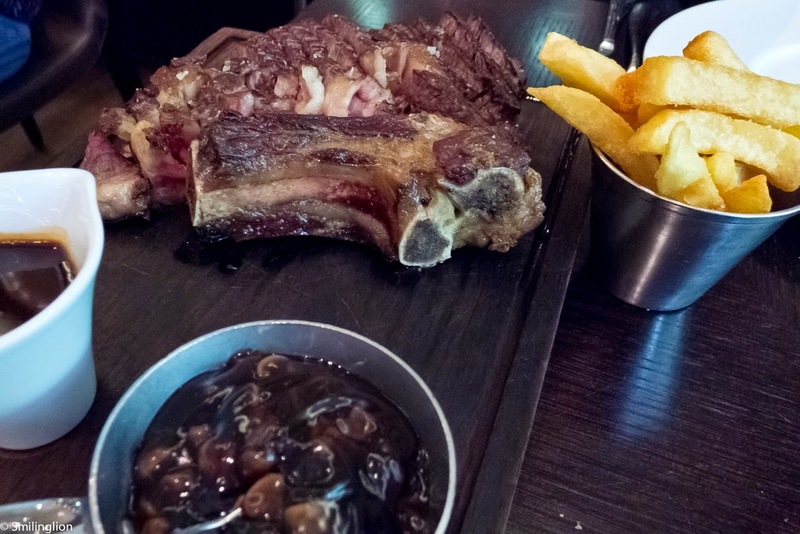 Bone-in rib of Hereford Prime for 2 (c. 1830): mushroom ketchup with triple-cooked chips: This was a large portion of beef which we took some time to polish off. The beef was excellent, and had a unique smoky flavour quite unlike any other steak we have eaten. The triple-cooked fries were also very addictive, especially when dipped in the mushroom ketchup. The only regret we had was our choice of wine; we had a half bottle of Nuits-St-Georges which was way too soft for a dish as strongly flavoured as this one. 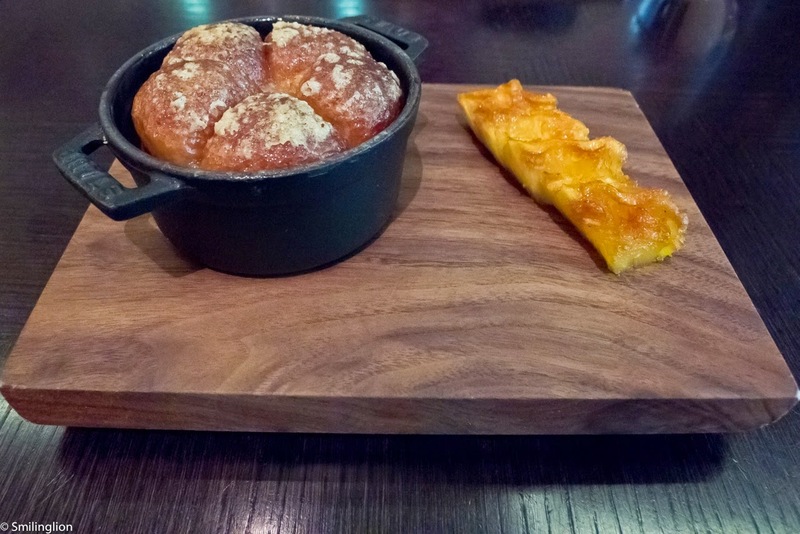 Tipsy cake (c. 1810): spit roast pineapple: Dinner's signature dessert is its spit roast pineapple with a type of cake similar to a rum baba except with pineapple syrup rather than rum. Next to the kitchen is the roasting room (visible from the outside through the glass windows) where the several pineapples are slow roasted throughout the day for this dish (occasionally a chef could be seen slathering the pineapples with syrup). It was delicious. An excellent lunch was capped off with an earl grey ganache. All in all, though the food was very good and the meal enjoyable, we felt that one had to be in the right mood to properly enjoy Dinner. 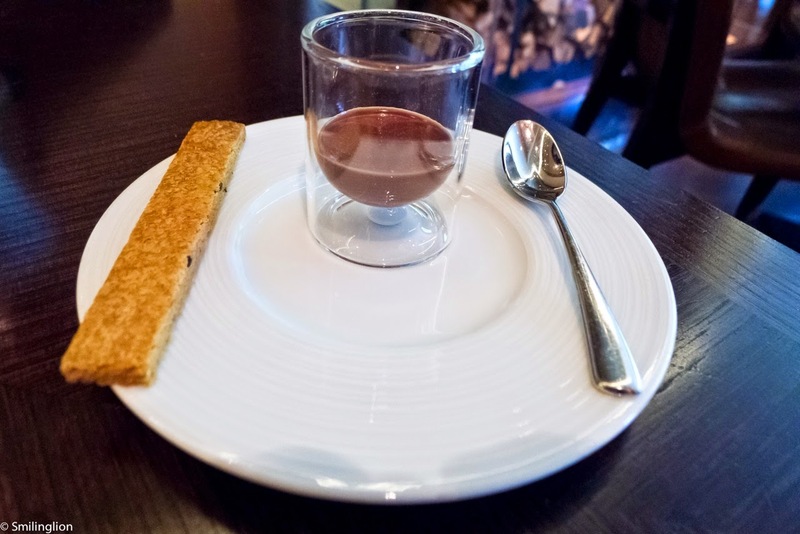 We did not find the usual sombreness about the menu, table setting or service which is typical for a two Michelin starred restaurant, but instead experienced a rather casual ambience and novel cuisine which was in keeping with its stated concept of the medieval English banquet.